I know what you are thinking. What a weird photo and topic for a blog. But wait. Keep reading, this will be interesting, I promise. It was a beautiful day today and we drove past a lovely park with all the trees in bloom. Then I saw that it was a cemetery which made me do a double take because there were no headstones. What kind of cemetery is that? How do you find anyone? Well, apparently all the headstones are flat and laid into the ground. Interesting concept, but it occurred to me that I would not like that at all, personally. I would not like to be cremated either, just for the record. I definitely want a headstone and one that is standing up right. Yes, I know this topic is a bit morbid, but hey – you got to have a plan. I just want something permanent to mark that I was here. Have you ever just walked around a cemetery? Not there to see anyone and not a sad occasion, just there to look around, read the headstones and check out your options. When we were kids, our Uncle Ray used to take us to the cemetery for walks and to ride our bikes. Not much traffic – if you know what I mean. We used to read the headstones for fun. Most of them stated the name, date of birth and date of death. End of story. Some only stated “wife” or “mother” and the date of death. A very short story. I thought that was sad. 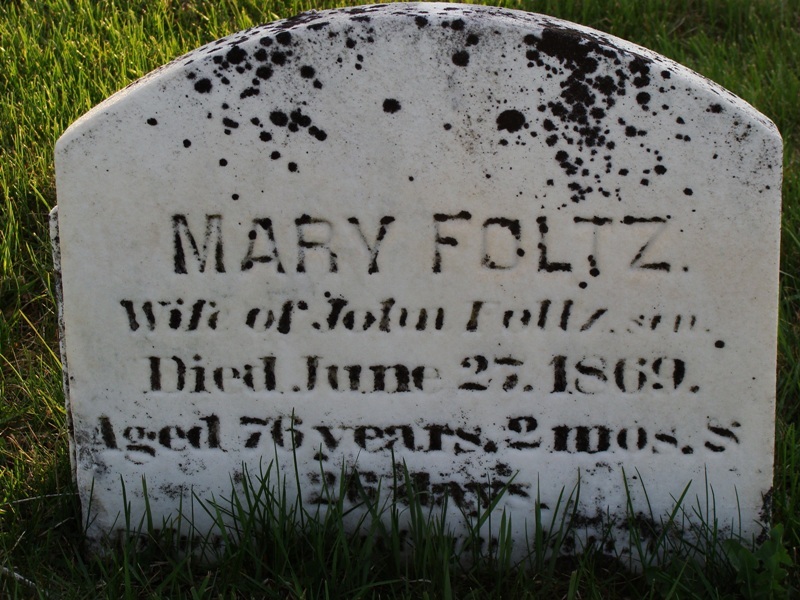 Years ago I did some genealogy work on our family and throughout the process I was struck by how little information was available about dead people. Now this was before the internet, Face Book and blogs, where now you can find out everything you want to know and even more that you don’t want to know about anyone or so you might think. Type yourself in, what do you get? Unless you write about yourself, or you get published in a newspaper, there may not be that much. Go back 20 years and it was even harder to find out about people, especially if they were dead. 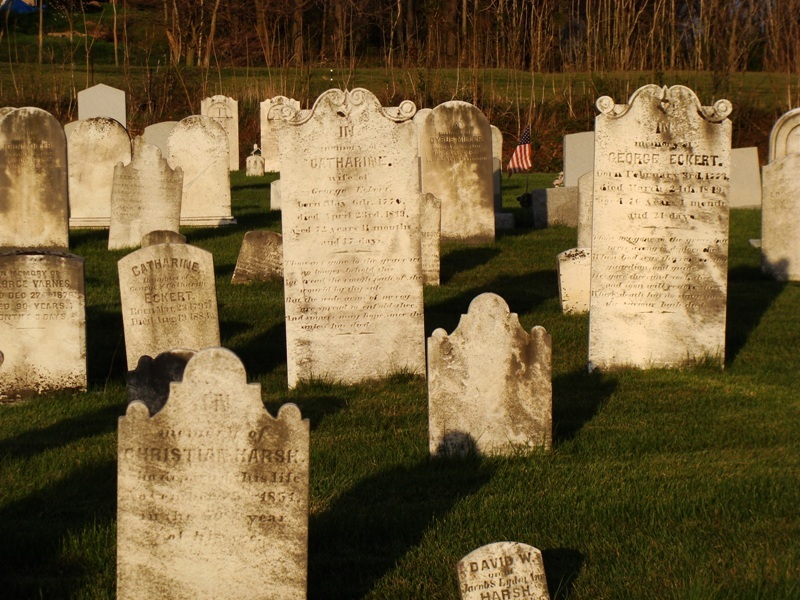 If you didn’t have personal information from a relative then you had to rely on a headstone or a newspaper. And if you weren’t notorious or famous then all the newspaper had to offer was an obituary, if you could locate it. And the headstone? That one permanent marker set out in the open for the world to see. Well, they were sparse records of a life lived. They mostly offered the name and two dates. A start date and a finish date but not much about what went on in the middle. A whole big, giant middle wiped out, erased, obliterated and ignored as if it never happened. What about an occupation, passion, hobby and children. No mention! Jobs that spanned decades, passions that fueled the heart, music, sports, the arts? Nothing. The kids that you stayed up nights comforting as babies and worrying about as teenagers and paid college tuition for rarely got a mention. What about all of that? life? What about a personality? No mention! I thought that was sad. Very sad. Is it a rule of the cemetery? Does it cost too much to chisel in all that information? Do you pay by the letter? People have mausoleums and ornate statues on their gravesites so I don’t think it is about the money. Is it a religious thing? Perhaps it is seen as vain and greedy to expound upon one self for fear that you will be punished in the after life. Yet funerals can be quite grand extolling the virtues of the dead in the eulogy, so maybe it isn’t that. 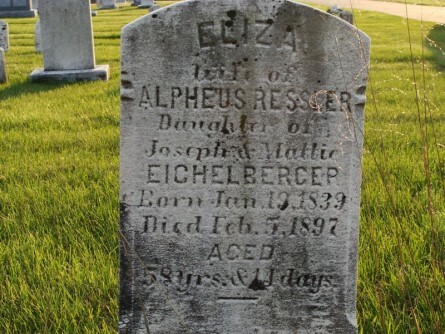 So why isn’t there any information on the headstone about the person, the individual, the father, brother, son, mother, wife, sister, daughter, doctor, mailman, golfer, writer, chef, quilter, happy, funny, smart, kind person? I don’t have the answer. I am just curious. I am just asking the questions here. In Europe, they often have photos on the headstones. There are also web sites with virtual obituaries where you can be as expansive as you like about your life. But they are not headstones. They are not of granite. So what is the reason that we have never used the headstone as the final resume of our beloved deceased? Even when they are made of granite they don’t always withstand the test of time. 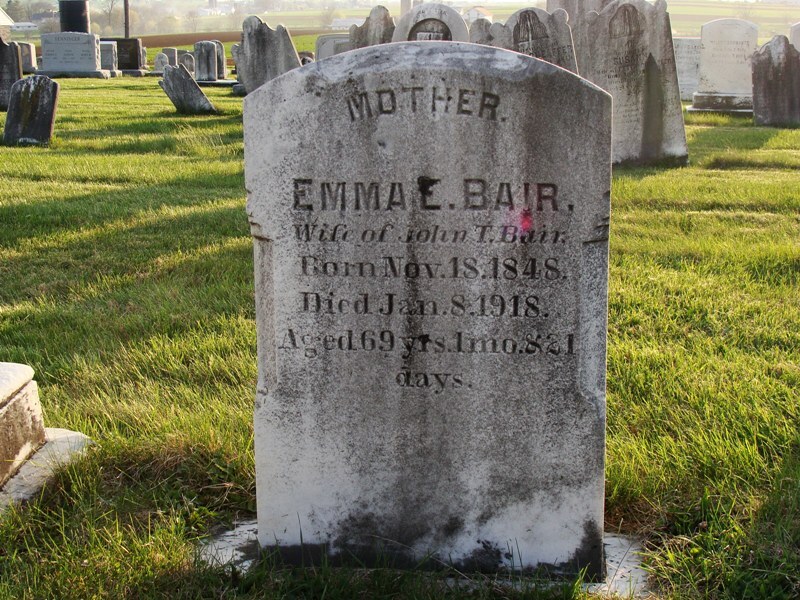 These headstones show the names of people who were born, lived, loved and died and no one knows anything about them, their name is barely visible. They have been gone from this world a long time. I think just showing the photos of these headstones gives credence to their lives just one more time. It is like a little acknowledgement that someone said their name out loud just one more time in history. They have been remembered. Isn’t that what we all want? To be remembered. We buy commemorative bricks on sidewalks with our names on them; the rich and generous have buildings and scholarships named after them. Laws are enacted in people’s names. Bridges, streets and foundations and races are named in honor of people, all so that they will not be forgotten. For the rest of us, we have headstones. It is the one and only monument that we can leave for ourselves, something to be remembered throughout the ages, as a lasting testimony that we were here on this earth for a little while. 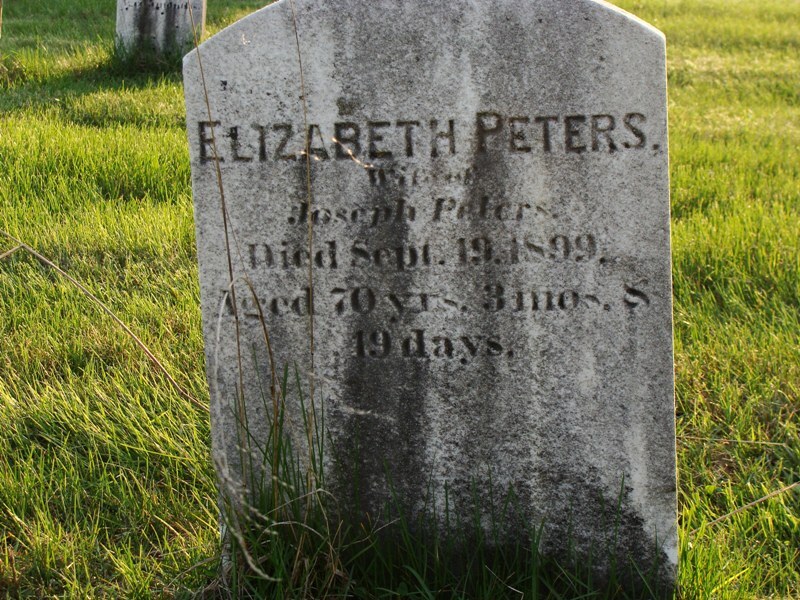 The more I think about it, ( I do write a blog about ME, after all) the more I realize I want more information on my headstone than just my name and two dates. I want a big giant, colossal headstone. In fact, I am thinking billboard size, maybe the kind that has those slats and rotates messages. As I recall a few of the headstones in that cemetery we used to visit with Uncle Ray a few still stand out because they had quotes: “See I told you I was sick” or “See you later”. It was a small but visible glimpse of the personality of the individual that had lived a full life between those two dates. I thought that was a happy way to exit.